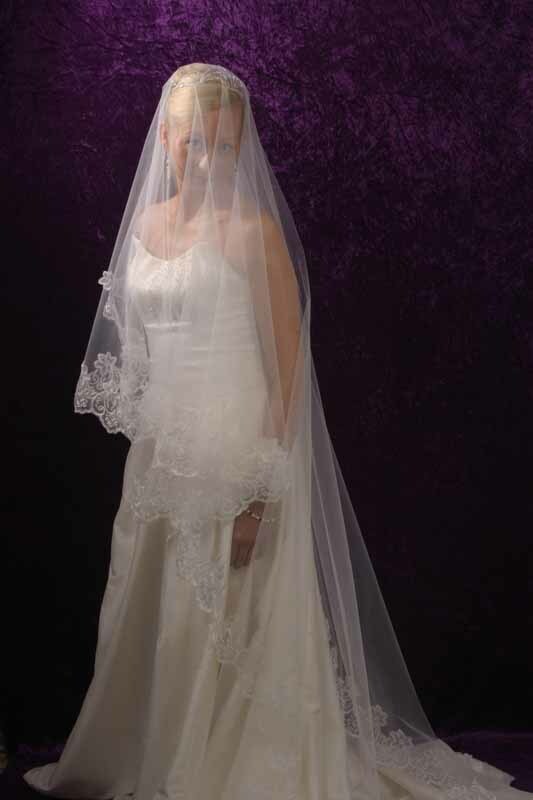 Romantic Chapel length, single layer, Mantilla veil edged in Belize style lace (lace pattern may change). 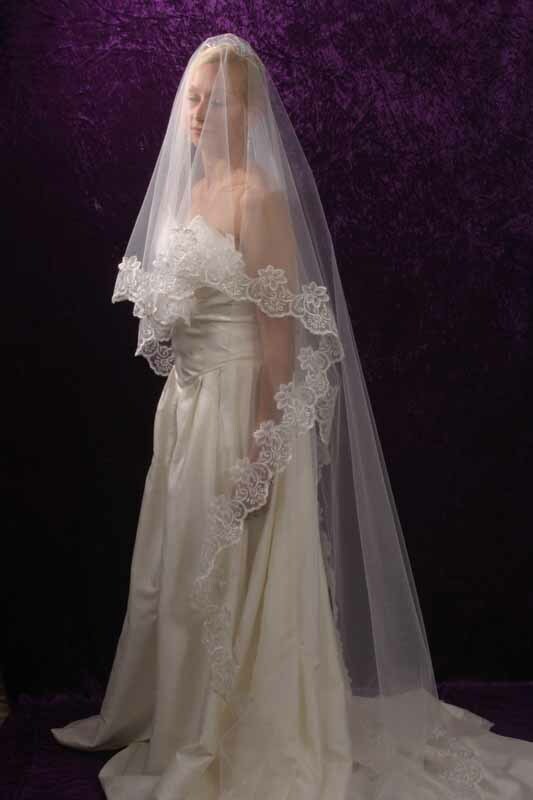 Please refer to information about veiling for lengths. 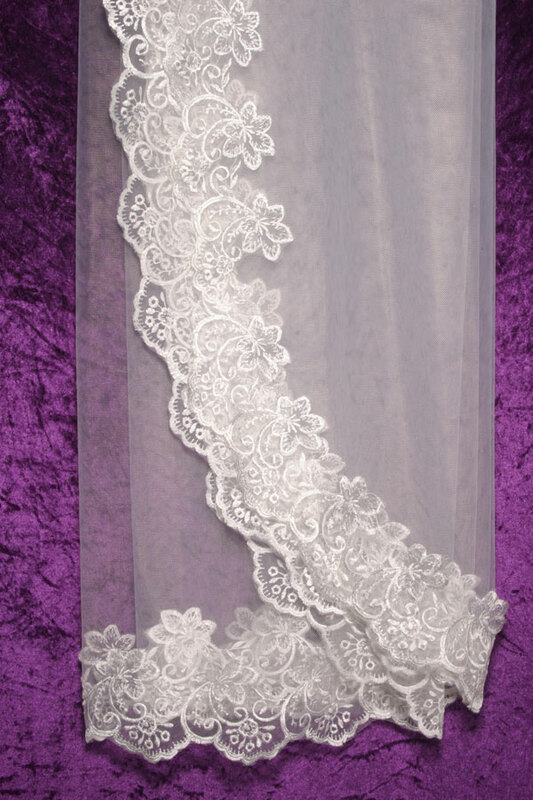 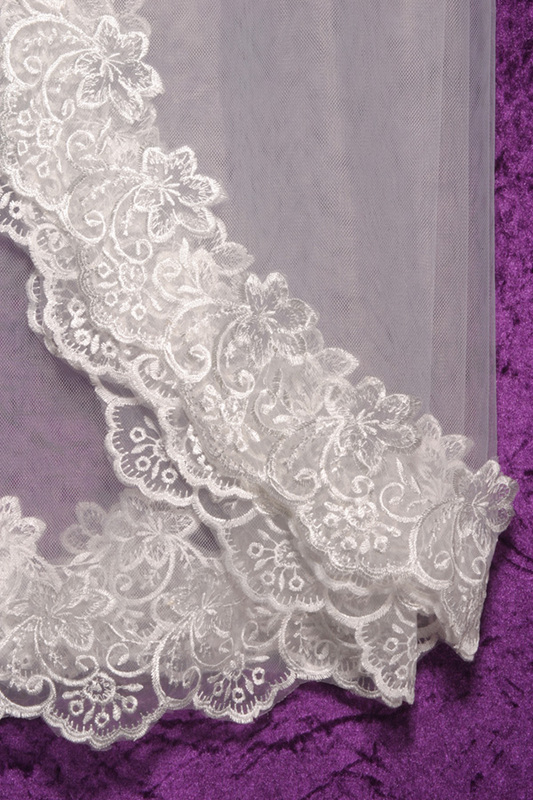 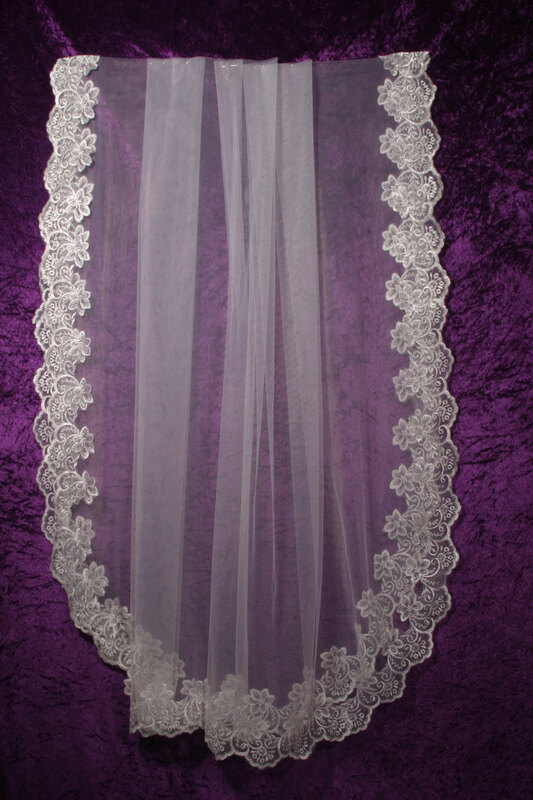 It is essential for veil orders, that you state what finished length you expect your veil to be ; from edge to edge (the drop) on the order / contact us form.